It''s going to the be the biggest thing that ever happened to Maple World. It''s be the rebirth of the whole universe and almost nothing will be left untouched. Learn all about it in this week''s Maple Times! We''re also going to help you learn the etiquette of Party Quests with a new AcornStory, announce some of the winners of our recent Dual Blade event, and get you prepped for another Day of Darkness. All this plus some great Maple Marketplace deals (including an awesome one from Marvel Comics) and we celebrate one of our fan fiction writers. 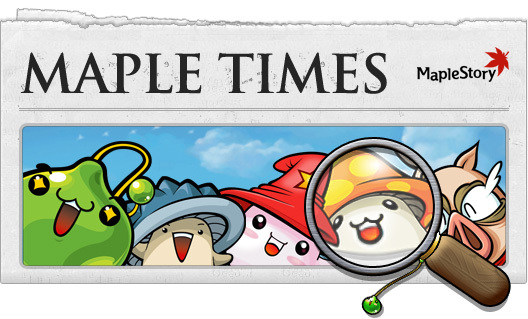 Be sure to check Maple Times every week for everything you need to know about MapleStory.